If you want an easy way to increase stamina and balance, build muscle tone, build bone strength, and lose weight, you’ll want to incorporate whole body vibration into your wellness routine. Using a vibration plate machine—which features a platform that vibrates 20-50 times a minute in several directions—can speed up your work-outs as well, allowing you to pack the effectiveness of a 45-minute work-out in just 20 minutes of time. Besides weight loss, increased muscle tone, and bone strength, one of the ways whole body vibration benefits users is by reducing the amount of time spent working out. Also, if you’re in Leesburg, you know it sometimes gets so hot outside that you don’t want to brave the heat just to get some activity in. If you’re using vibration plates, you can exercise in air-conditioned comfort, which means you’re more likely to stick with your exercise plan. In addition, if you suffer from osteoporosis, studies show that using a vibration plate on a regular basis can increase bone density and is a safe adjunct to other treatments for that condition. Like any piece of equipment you’d use for health reasons, you want to be sure you have a high quality unit and that you’re using it correctly. If you’re in the Leesburg area, make an appointment to talk to Dr. David Wren of Dr. David Wren Chiropractic and Sports Injury Center. Dr. Wren is a chiropractor, so he has in-depth knowledge of how to keep your skeletal and muscular system aligned to prevent injury and encourage good health. Beyond that, his Chiropractic and Sports Injury Center has a complete Wellness Center where patients can focus on total-body wellness. 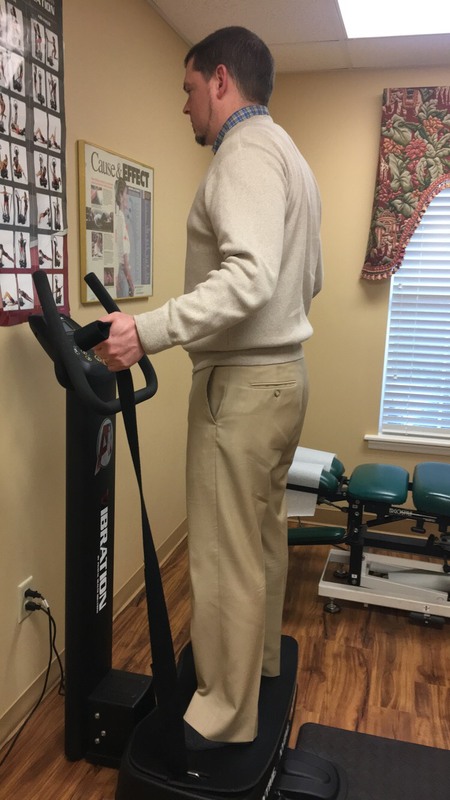 If you want to incorporate whole body vibration into your wellness plan, stop by for an appointment with Dr. Wren to find out how you can get started. Dr. Wren and his staff will make sure your vibrational wellness plan is designed specifically for your needs and wellness goals. Why wait to get healthy? Shake up your health today with an appointment at The Chiropractic & Sports Injury Center.